Is your local blog working for you? Without getting a decent amount of traffic, it’s not doing you much good. Writing posts regularly is just a part of the equation. Promoting your blog is crucial too. Luckily, there are plenty of effective ways to do so. We’ve hand-picked 25 great examples to get you started. Facebook – If you’re not already sharing your blog posts on Facebook, it’s time you started. There are even ways to automatically share new posts as they go live. By including some thought-provoking comments in your posts, you can attract even more attention. Twitter – You never know who’s on Twitter looking for information that you provide. Sharing links to new blogs on Twitter is simple, and it’s a highly effective way to cast a wider net. You can also actively search for users who are talking about topics that relate to your blog and promote it to them as well. Pinterest – Sure, Pinterest is a highly visual social media site. That doesn’t mean it can’t be used to promote a blog. Simply share photos that relate to your blog and embed links so that users can find it. Instagram – Instagram is similar to Pinterest in that it’s primarily visual. Like Pinterest, you can use the service to share photos and links with your followers. Links on Instagram aren’t clickable but if you then share to Twitter or Tumblr then they become so. The popularity of this service is growing by leaps and bounds, so it’s well worth it to get on board as soon as possible. LinkedIn – Although LinkedIn is mostly about maintaining and developing professional connections, it can also be used to share new blogs with followers. You just have to include a link while sharing an update. Be sure to add a link to your blog to your LinkedIn profile as well. Google+ – What better way to get love from Google than by sharing and promoting your blog on Google+? As a local business owner, you should already have a Google+ page for your company. Whenever a new blog post is made, be sure to share it with your Google+ followers. Social Media Sharing Buttons – It only takes a few seconds to add buttons for sites like Facebook and Twitter to your blog. This provides visitors with a quick and easy way to share what they’ve read with their social networks, which can enhance your blog’s visibility in a major way. Google Authorship – You know how some Google search results include the author’s photo? This makes a listing more visible, right? You can accomplish this by adding Google authorship tags to your posts. Detailed instructions are readily available online. Email Newsletters – Most active Internet users check their email at least a few times per day, so it’s well worth it to send email newsletters from time to time. When you do, you can highlight a few of your most recent blog posts to ensure that everyone is aware of your blog’s existence. Signatures – Like many people, you may use a signature file for emails and forum posts. Adding a link to your blog to your signature is a fantastic way to quickly and easily spread the word. Every time you respond on a forum or to an email, the recipient will receive a link to your blog. If you use Gmail then an app like Wisestamp makes the process pretty simple. Bookmarking Sites – Set up profiles on popular bookmarking sites like Stumbleupon, Reddit and Digg and make a point of getting actively involved in relevant threads. When it makes sense to do so, post links to your blog. Curation Sites – Curating content from around the Internet and putting your own spin on it is an excellent way to draw traffic to your blog. 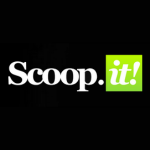 Curation sites like Scoop.It make it easy to do. With a click or two of the mouse button, you can create posts highlighting content from elsewhere online, which can draw in traffic from many different areas. Forums – Online forums continue to be very popular. No matter what kind of business you own, there are sure to be at least a few forums that relate to it. Get to know them and post on them regularly with links to your blog. You could also check business networking forums and local business or Chamber of Commerce forums as well. Question and Answer Sites – As a business owner, you’re an expert in your industry. Share your knowledge with people who are looking for help on question and answer sites like Quora or Yahoo Answers. While you’re at it, link back to relevant blog posts so people can learn more. YouTube – Take a few of your most popular blog posts and create videos based on them. Post the videos to YouTube and write detailed, keyword-rich descriptions. Some people simply prefer to watch videos, and this is a great way to attract them to your blog too. YouTube is owned by Google so you can probably guess the benefits! Slideshows – You can also take popular blog posts and create relevant slideshows. Share them on a site like Slideshare and include highly detailed descriptions. You can also link back to your blog so people can get more information. Slideshare is owned by LinkedIn and so it’s a great way to link your presentations together. Syndication – With the click of a button, you can instantly share your latest blog through syndication. Sites like IFTTT.com and NetworkedBlogs.com are incredibly useful for this kind of thing. Guest Posts – Find blogs that relate to yours in some way. Read them for a while to get to know them, and then (politely & professionally) approach the owners with offers to write guest posts. Your guest posts can include brief biographical information, and most of the time it’s perfectly fine to include a link back to your own blog. Press Releases – When you have news to share with the world, a well-written press release should do the trick. In addition to being packed with information, your press release can and should include links to your website and blog. In fact, you can issue a press release for the sole purpose of promoting your blog. Just make sure there’s something newsworthy to share. Flyers – Printed materials still have a place in promoting a business. Why not print up some flyers with information about your blog? You can then pass them out to customers. It may also help to promote your blog on company letterheads, business cards and other printed materials. Comment on Other Blogs – There are sure to be blogs out there that relate to your business. Seek them out and visit them often. When it makes sense, post related comments to engage in the conversation. Include links back to your own blog. You’ll be amazed at how much traffic you can generate by doing this. Identify Influential Bloggers – Perhaps there are dozens – or even hundreds – of blogs that relate to yours. In that case, zero in on the most influential ones and focus your efforts there. From posting comments to writing guest blogs, there are all kinds of ways to make effective use of popular blogs in your industry. Tell People – During the course of a normal business day, you may interact with many customers directly. Try to mention your blog whenever you do. Encourage your employees to do likewise. If you’ve written a post specifically to answer a client’s question then make you let them know! Interact on Your Blog – By fostering a sense of community on your blog, you’re more likely to attract return visitors. This is also a great way to generate buzz and to increase the odds of people sharing your blog with others. Make a point of chiming in on the comments section from time to time to show people you’re paying attention. Have a Contest – Create a contest that requires people to visit your blog in order to participate. Even those who wouldn’t regularly consider visiting your blog will be encouraged to do so for the chance to win something. By trying as many of these techniques as possible, you’ll have a much easier time promoting your local blog. Before too long, it should be receiving plenty of attention!